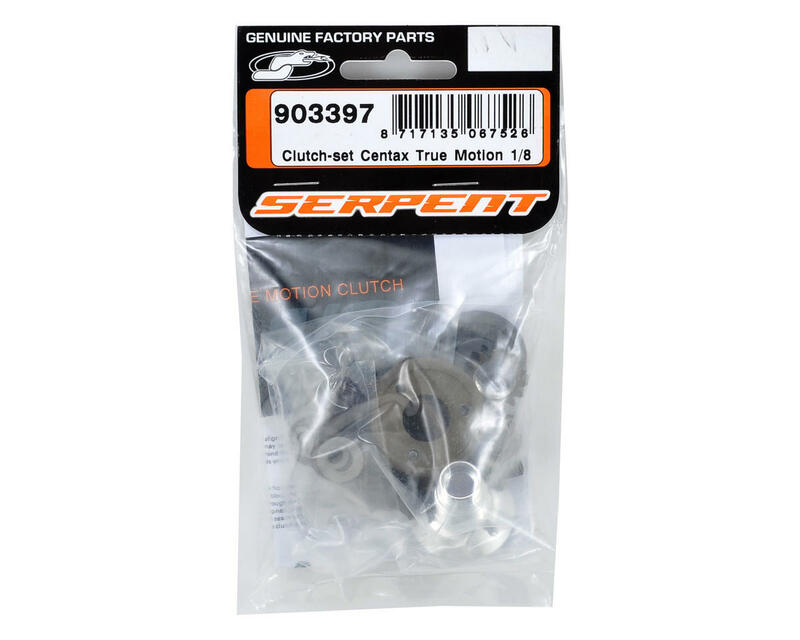 This is the Serpent True Motion 1/8 Centax Clutch Set, and is intended for use with the Serpent 960 and 966 vehicles. This clutch was developed by Ron Ton, the innovator of the centax clutch system in the mid 90's, and it soon became the standard in on-road racing. In this version of the Serpent centax clutch, the tapered shape has been moved from the flywheel to the pressure plate, helping to improve punch and reliability. 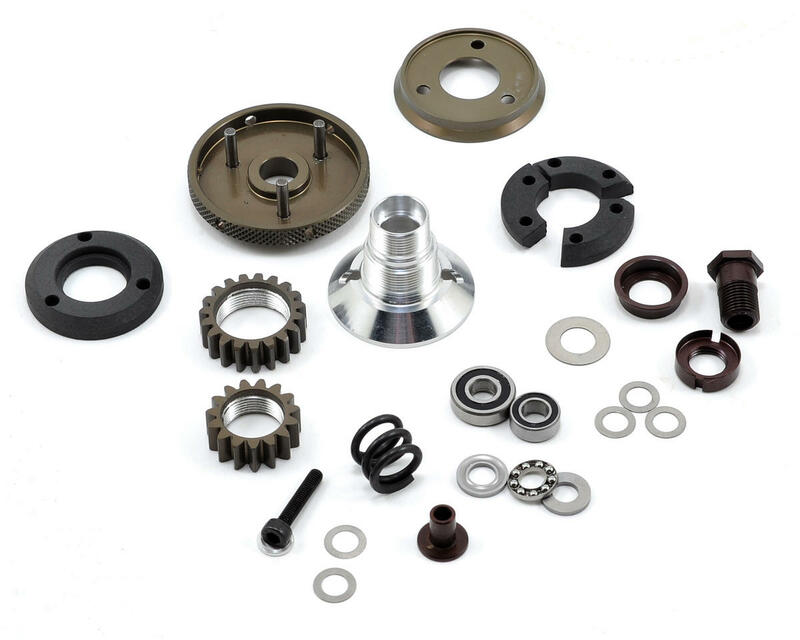 This clutch uses the hard centax spring to set the pre-load, and also uses the black shoe and aluminum clutch housing as standard parts.